Swing your Yeti from branch to branch and get him to the next highest one until you reach the top of the tree. One of the hardest games in the Yeti series, but fun once you get good. There can only be one! And next to Yeti, Tarzan looks pretty old... in the last but one part of the Yetisports World Tour, Yeti is swinging in the airy heights of giant jungle trees. 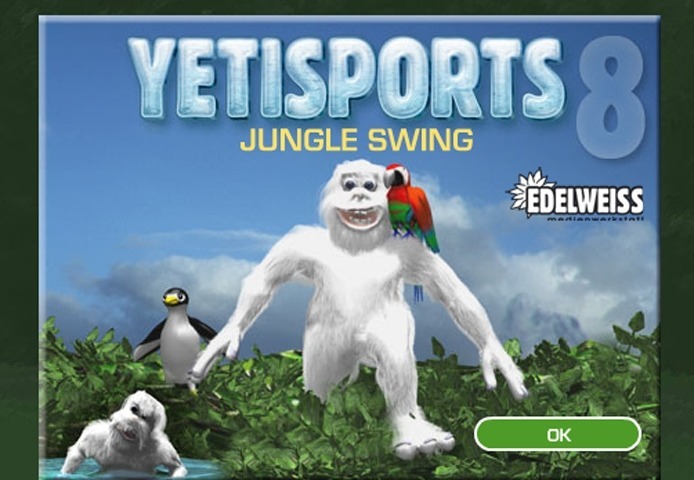 If you want to play Yeti Sports 8 Jungle Swing games online you have come to the right place! GamesLoon adds new Yeti Sports 8 Jungle Swing games every week. This is your game portal where you can find the biggest collection of free Yeti Sports 8 Jungle Swing games online. Do not forget to rate our Yeti Sports 8 Jungle Swing free online games while playing!